This week we are adjusting the Node Wars rules to make them more convenient for guild members, so get ready for the fight! And for those not so into the war, the Kamasylvian Alchemist event is back! Also, don’t forget to visit Patrigio, we have been told that he requires much less Energy to view his items these days… And that’s not all folks! With Halloween coming, some of the Halloween props and outfits from previous years have returned! Check the patch notes below to see all the details. • To commemorate the 10 Million Registered Users Milestone, New adventurers will be given the chance to turn their 7-Day Free Trial pass into a permanent Starter’s Package! • Level your character up to Lv.56, then complete the Awakening quest before your 7-day trial period expires and you will receive the free Starter’s Package! • During the event period, the required energy for Patrigio’s Secret Shop has been decreased. • Click <Here	> to see what Patrigio has to offer in detail! 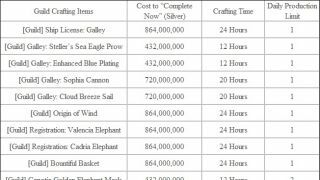 • The more Processing is done, the greater the items! 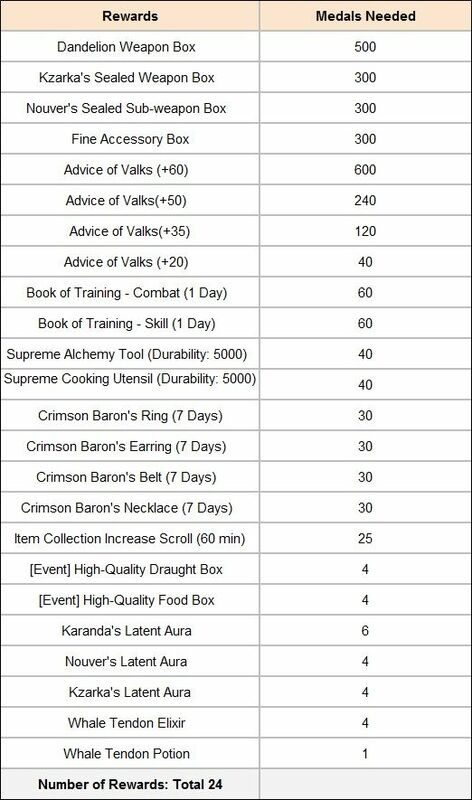 Become an Alchemist who can craft a Kamasylvia Box and make your Shiny Kamasylvia Box! • Click <Here	> to find out this lustrous event in detail! ※ In commemoration of Vell’s HP being shared among different servers, all adventurers will be able to loot rewards for taking down Vell for a special event period of 2 weeks. 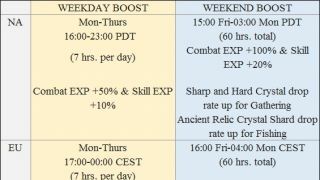 This special period will last until 10/17 maintenance. 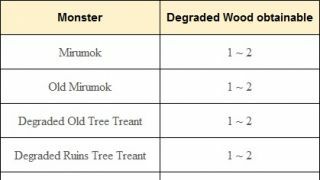 (Please check under Monster Changes for the new changes made to Vell). 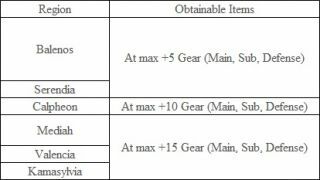 • During this special period, the standard of damage that needs to be inflicted against Vell to obtain loot will be lowered. 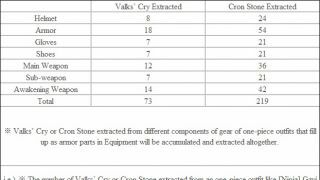 This means even a little amount of damage inflicted against Vell will gain your loot. • Vell will now despawn naturally 30 mins. after it spawns. No loot will be gained if Vell despawns naturally during the event period however. ◈ Show Off Your Grána Home! • [Event] Pirate's Rum will no longer be obtainable upon defeating monsters. ◈ Following changes have been newly-applied to Node War. ◈ The End Recruit button and extra recruit option will be removed. 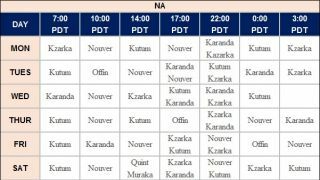 ◈ Changing participation status is allowed in the relevant server as long as a Fort is constructed. 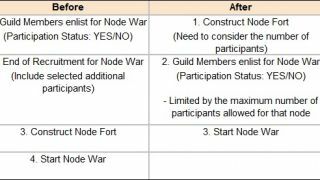 • However, participation status cannot be changed from YES to NO when a Node War is under progress. ◈ If the maximum number of participants allowed for Node War is not filled up, any non-participants may join the Node War (However, a Fort must have been constructed in prior). ◈ If there are 20 participants filled up for a Node War with maximum participation of 40 members, 20 additional participants may join as long as a Fort is constructed in prior. ◈ Forts can be uninstalled up until 1 hour before the beginning of a Node War. If the Fort is uninstalled, your Guild can construct another Fort in another Node to participate in that Node War. • When uninstalling a Fort under construction, the list of participants will reset and so the members need to re-enlist to participate in the new Node War. (However, if the Fort has been completed in construction, it cannot be uninstalled regardless of time). ◈ Rewards button will be newly added from which you can claim your rewards for participating in the war. 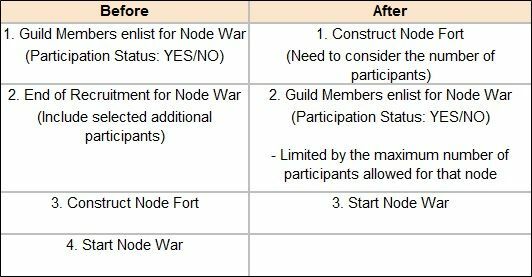 ◈ The participation status (Yes/No) can be changed up until the beginning of the Node War. Once the Node War begins, participation status can no longer be changed from YES to NO. (i.e. Participation status cannot be changed daily during 18:00 UTC - 20:00 UTC for EU servers and 01:00 UTC ~ 03:00 UTC for NA). 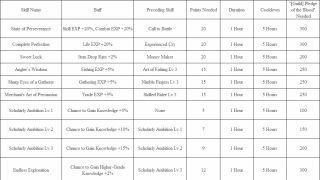 • Ex) Reward can be obtained either when the occupying guild has been determined, or when a occupation on the Node has been emancipated. ◈ Once the Node War concludes, rewards will be given out based on the result. • Guild Members who have participated will obtain medals depending on the results of the war. ◈ Shining Medal of Honor will be given as a reward after the Node War ends from the Guild Information window. ◈ The top 5% will be given an additional medal for their performance during the Node War. 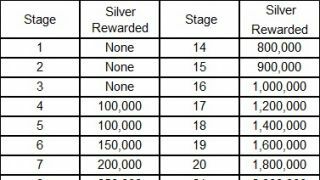 • However, additional rewards will not be given out if there is a tie. • Ex) If the top 5 performers all score 5 points, then the additional rewards given out for 1st place will not be given out to anyone. ◈ The 1st place adventurer (with the best performance) from the winning guild will be given a special reward (buff items) additionally and this will be obtained via Rewards button. ❖ You can get a special medal that is rewarded based on your performance in the Node War and you can exchange medals for various items via a Skill Instructor NPC of any town. ◈ Navigation has been improved in the following areas to make it easier to find Node and Node Manager NPC. ◈ Navigation has been improved in the following areas. -Navigation has been improved in areas like cliffs and hills where Navigation was difficult. -For destinations that are hard to reach with Navigation alone, you can utilize Jump to get to your destination. 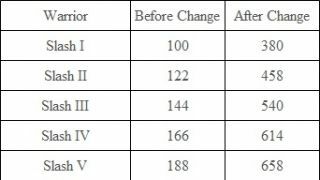 These improvements will aid in choosing where to build your Fort in Node/Conquest Wars. So survey the area and choose the best spot! ◈ New Titles have been added. • You can earn the title ‘Lahn Costume Maker’ when crafting [Lahn] Calpheon Noble Dress for the first time. • You can earn the title ‘Lahn Costume Expert’ when crafting [Lahn] Calpheon Noble Dress 11 times. ◈ The intermittent issue where Memory usage would have a huge spike when the game client was turned on for a long time has been fixed. ◈ Fixed the issue where auto-navigation would be blocked off by obstacles in Western Guard Camp. ◈ Fixed the issue where auto-navigation nearby Weita Island would lead to go through the island. ◈ The brightness of the lighting in certain areas of Black Desert Online in Remastered Mode has been improved further to appear more natural. ◈ Wooden floor and nail graphics have been improved to appear more natural in Remastered Mode. ◈ Fixed the issue where you could not perform Gathering on certain wood nearby Heidel. ◈ Fixed the issue where the topography in a distant range would appear too dark when switching Graphics under Display Quality from Very Low to High-End Graphics (Remastered and Ultra Mode). ◈ Fixed the issue where the topographical graphics inside a Residence with wallpaper placed inside would appear overlapped if the Graphics under Display Quality was set to Very Low. ◈ Fixed the issue where lighting effect would appear unnatural in certain parts of the topography near Pujiya Canyon. ◈ Fixed the issue where a bell sound could be heard when changing the weather in background of Customizing window, Dye window, and Pearl Shop. ◈ Trade Manager NPC of Trent, Richter has been renamed to Rikta. ◈ Camera effects has been added to Sprinting motion that it will now be possible to feel the speed when Sprinting. ◈ Activating auto-moving from combat mode while mounted on a horse will no longer make the character change into non-combat mode. ◈ Fixed the graphical issue on the forehead when having the Ignis Hairband equipped for the Ranger, Valkyrie, and Kunoichi. ◈ Fixed the issue where [Event] Sweet Cone Hat could not be dyed. 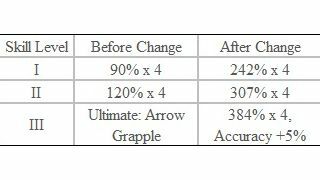 ◈ Fixed the issue where the effect of the skill Ground Roar would look unnatural when performing the skill in Remastered Mode. ◈ Fixed the issue where the Warrior would be released from combat mode when falling off a cliff in Longsword combat mode. ◈ Fixed the issue where the skirt part of [Ranger] Sylvia Armor would appear too bright in Remastered Mode. ◈ The damage of the skill Charging Wind will now be applied when using the skill Flow: Crossing Wind I. ◈ The Skill Add-on effect of the skill Charging Wind will now be applied when using the skill Flow: Crossing Wind I. ◈ Pressing Tab key while auto-moving will now make the Ranger go into a combat stance with the bow withdrawn. ◈ Fixed the issue where the Sorceress would be released from combat mode when falling off a cliff in Amulet combat mode. ◈ Fixed the issue where the weapon would appear awkwardly when auto-moving in non-awakening mode. 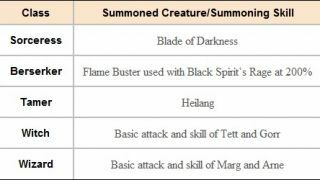 ◈ Fixed the issue where cooldown would be applied on the skill Awakening: Daru's Celestial Bo Staff when using Heilang: Trample as a combo after using Resonance and Jolt Stab. ◈ Fixed the graphical issue of the underwear when sitting down. ◈ Fixed the issue where the Tamer would be released from combat mode when falling off a cliff in Shortsword combat mode. ◈ Fixed the graphical awkwardness in the underwear when sitting down with the Epheria Marine Underwear equipped. ◈ Fixed the issue where the Valkyrie would be released from combat mode when falling off a cliff in Longsword combat mode. ◈ Fixed the issue where the Musa would be released from combat mode when falling off a cliff in Blade combat mode. ◈ Fixed the issue where pressing Tab key while auto-moving in Kerispear mode would make the Maehwa change into Blade mode. ◈ Fixed the issue where Guard would not be applied when inflicted hit while moving backwards after having moved to either left or right in Shortsword mode. 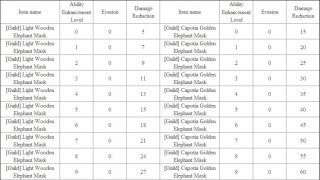 • Forward Guard effect will only be applied while moving backwards in Kunai mode. ◈ Fixed the issue where the weapon would appear slowly when switching to Vediant combat mode using C + Tab key. 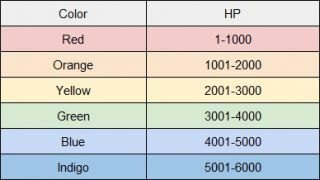 ◈ Fixed the issue where Dyeing would be possible when performing a certain motion after dyeing the Ahon Kirus outfit. 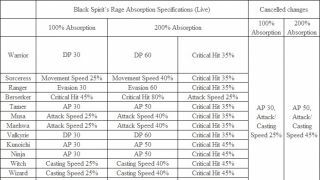 ◈ Fixed the issue where more Stamina then required was being consumed upon using the skill Rampaging Predator. ◈ Fixed the graphical awkwardness in the lower torso when moving while mounted on a horse with the New Year Hanbok outfit equipped. ◈ Fixed the issue where the motion of being hit by the skill Soul Raid would look awkward intermittently. 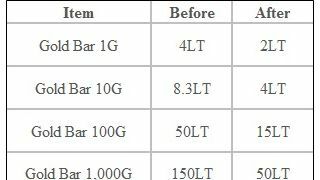 ◈ Grade of Marni’s Stones has been changed. 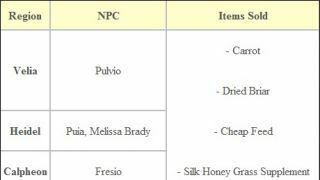 ◈ Lustrous Hide item has been changed so that it can now be sold in NPC shops. ◈ Fixed the graphical awkwardness in the outer appearance of the [Event] Snowman Hat when having it equipped in Remastered or Ultra Mode. ◈ To find out more about new items like that Reset Mount Growth and Halloween items that returned with the start of October in the Pearl Shop Update, please click < Here > ! ◈ World Boss Vell’s HP will now be shared among different servers. 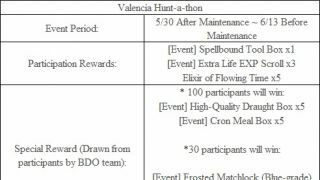 • 10 minutes before Vell appears up until Vell dies, Guild Wars or PvP will now be blocked off. 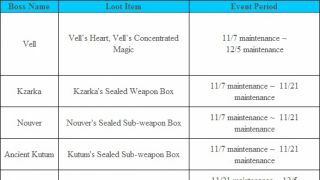 • The damage standard you have to meet in order to receive certain loot for defeating Vell has been lowered. 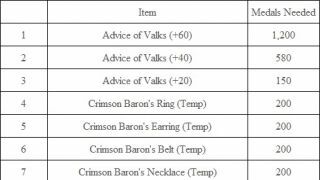 Also, the reward to obtain for inflicting even a small amount of damage to Vell has been added. • Vell will now despawn naturally 30 mins. After it spawns. When Vell despawns naturally, you will receive loots of a grade less. • From the period when Vell first appears to the point when it is defeated, PvP will be restricted. ◈ Loure Ravi will now appear in the middle of the round arena when Urugon from the Gyfin Rhasia Raid Captain Summon Scroll or Awakened Gyfin Rhasia Raid Captain Summon Scroll is defeated. ◈ It has been fixed that the field boss Gehaku’s attack range and attack motion would match the actual attack. ◈ Kreator will now return to its initial point of spawn and recover its health if it moves too far away from the spawn point or if the target during combat disappears. ◈ Fixed the issue where an abnormal system message would be displayed upon triggering Place Mode (R) in Residence if the character was on top of or on an object, furniture, prop placed inside the Residence. ◈ The ‘End Recruit’ button under Guild member Status has been removed. ◈ Fixed the issue where ‘Safe Enhance’ button would be displayed even when placing in an item that could not used the option in Enhancement window. ◈ Fixed the issue where ‘Life Info’ tab under My Information window (P) would not be updated intermittently. ◈ Fixed the issue where the first decimal point of EXP of Life Skills in ‘Life Info’ tab under My Information window (P) would not be displayed properly. ◈ Weight Limit warning has been changed to now be displayed on the bottom right hand of the screen. ◈ Fixed the issue where the Skill EXP effect and Energy effect would be displayed in awkward locations when using Custom HP Bar. ◈ Fixed the issue where the Golden Bell icon would not be displayed intermittently in the down left-hand corner of the screen. 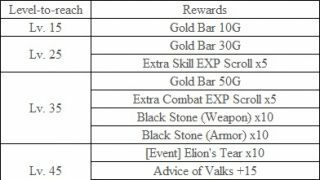 ◈ It has been now changed that when repairing Equipment through a Blacksmith NPC, the repair cost would come out of Storage instead of Inventory. ◈ Fixed the issue where the scrolling the mouse downwards was only possible (and not upwards) if Crafting Notes (F2) was set as Sticker UI. ◈ It has been changed that the blood splattering effect would be displayed when inflicted hit in Remastered or Ultra mode. ◈ Fixed the issue where Skill Combo Video guide under Black Desert Video Guide would not be playable. ◈ The quantity of the Marni's Stone will now be displayed on the icon itself when the Status is filled up. (i.e. 500/500). ◈ Fixed the issue where the information about the Character being transported would be displayed under certain circumstances when selecting another character in the Character Selection screen. • ‘Black Desert Video Guide’ button located in top right corner of the main screen. • ‘Guide Video’ button located in bottom right corner of World Map (M). • ‘Skill Combo Guide By Class’ button in bottom right corner of Skill window (K). ※ Currently there are some issues with the language in the video guides. We will resolve this soon. ◈ Fixed the issue where the screen would look awkward upon using Upscale/3D minimap option in Graphics setting other than Remastered or Ultra Mode. ◈ Fixed the issue where the outlining for planting a crop in Garden would not be displayed when the Graphics setting was set at Remastered or Ultra mode. 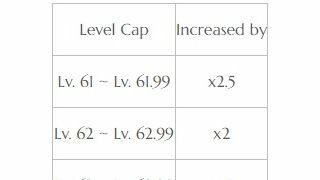 ◈ Fixed the issue where the rate of certain Fish kinds such as Golden Siniperca being fished up was set irregularly high for NA/EU client. ◈ We are aware of the issue where the Youtube videos added to a Guild Information window is not playable. ◈ We are aware of the issue where the language in the videos inside the BDO Game Guides/Game Guides/Skill Combo Guides are abnormal.